Our Hotel is situated a stones throw from the beach and overlooks Sandgate Castle, built for Henry VIII in the 16th century. 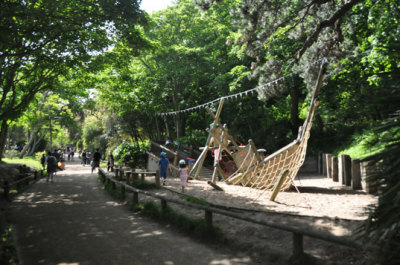 Sandgate village is in Hythe Bay, a hidden oasis by the coast in Kent, the Garden of England. We are located in an area made famous by its Cinque Ports, Sandgate extends 2kms along the Kent coastline with Folkestone and Hythe on either side. The beach in front of the hotel is also highly regarded for its competition angling, with sea fishing trips available from the old harbour in Folkestone. There are great transport links to Europe by ferry from Dover or by train through The Channel Tunnel, easily accessable within minutes by car. Also with the high speed train service you can get to London in less than an hour! Local amenities include choices of golf, National Trust heritage sites and much more. The area is well known for a wide range of water sports, including kiteboarding, windsurfing, and the newly popular stand-up paddleboarding. For those wanting to take in the fresh sea air, Sandgate offers a range of leisurely walks past the shops and along the sea wall through to the lush coastal park, with awe inspiring views across the Channel to France. 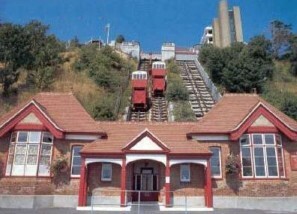 A stroll along Marine Parade to Sandgate’s neighbouring town Folkestone, will find you looking at the Leas Lift, one of the oldest funicular cliff lifts in England, giving access to the historic Leas Promenade. Of particular interest to many of our visitors is our proximity to the up-and-coming Folkestone rejuvenation project. A huge amount has already been done here and there’s a great deal more to come but the transformation of Folkestone is well underway. 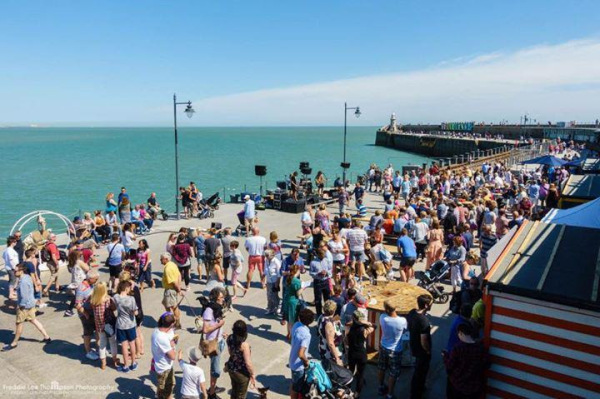 Whether you stroll from us to the renovated Folkestone harbour arm (http://www.folkestoneharbourarm.co.uk) with its water surrounded fresh restaurants, shops and champagne and oyster bar, or the old high street’s quirky shops and Creative Quarter you will be amazed at what you’ll find on our doorstep! The Leas Cliff Hall Going to see a show, band or exhibition? Take a walk along the promenade and catch the Leas Funicular Lift up to the hall or stroll along the beautiful Leas Cliff top parade, The Leas Cliff Hall is only a short distance from us. The Port of Dover Off to Europe? Then come and start your journey and stay with us! Take out the stress of being on time to catch your ferry, we are just 20 minutes by car to Dover or if you are going by The Channel Tunnel its only 10 minutes away by car! Dover Castle Surveying over Dover's White Cliffs, this castle has guarded English shores for 20 centuries. Explore this extraordinary castle and its network of wartime tunnels. The City of Canterbury Canterbury is the home to the stunning Canterbury Cathedral, A pilgrimage site since the Middle Ages and one of England’s oldest churches, Canterbury Cathedral displays Gothic and Romanesque architecture. It is situated in the heart of the City centre, so why not get a spot of shopping in whilst wandering around the cobble streets or take a historic boating tour along the canals. Sandgate Beach Award winner of the Blue Flag status! Sandgate Beach is just a part of the beautiful coastline of Kent! Walk along the promenade, swim in the sea or enjoy a bit of fishing, the choice is yours! London Visit the fabulous sights of our capital, London. 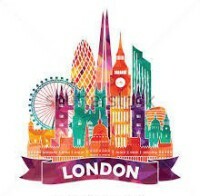 Pop in on the Queen, hop on a open top London Bus tour, take in a show or enjoy the shops? With the fast speed train you can get there in less than an hour!! The White Cliffs of Dover Enjoy a brisk walk atop the White Cliffs of Dover. A British icon and natural wonder, Dover’s White Cliffs are great for a windswept wander above the English Channel’s waves. Dreamland, Margate. Fun for all the family! Reopened in 2013, the UK's original pleasure park is full of a host of stylishly restored, recreated and retro-fitted rides and amusements from the Golden Age of British seaside. Dreamland is now open to the sounds (and screams) of delight and wonder, as visitors young and old enjoy the Great British seaside amusement experience first-hand.